I’m excited to announce that my name is indeed on this list! For everyone that showed your support, I can’t express enough my gratitude; not only for this project, but for all the works you endorse with your time and interest. To everyone that follows my writing, let the meager utterance of a thanks suffice for this, my deepest appreciation! 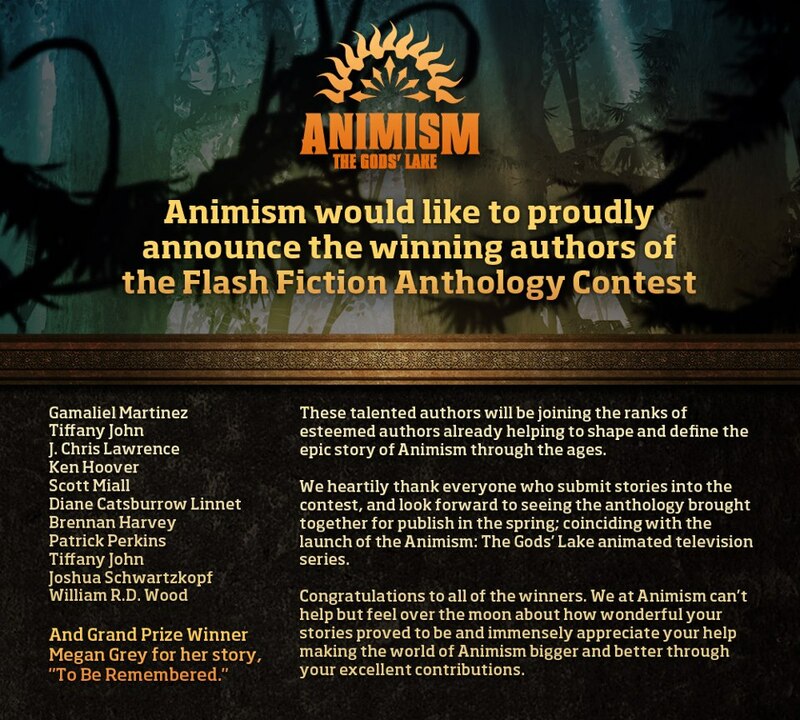 I’m excited to announce that my short story, “The Trickster’s Promise” is now open for votes in the Animism Short Fiction contest! You can find a link to the piece here. When you’ve read the story, just click where it shows the Facebook icon on the right hand side, under where it indicates to vote for this week’s winner, and follow the directions for the app. By voting, you will automatically be entered into a contest to win an iPod Nano, as well, though you will need an active Facebook account to do so. With all that said, I should remind everyone that this story is based on the Animism world, so I advise watching the video linked below to get a basic understanding of the Spirits and their personalities. While the story is self sufficient, it will provide a deeper understanding of the world. Thanks to all those showing support, and as always, thanks for reading!